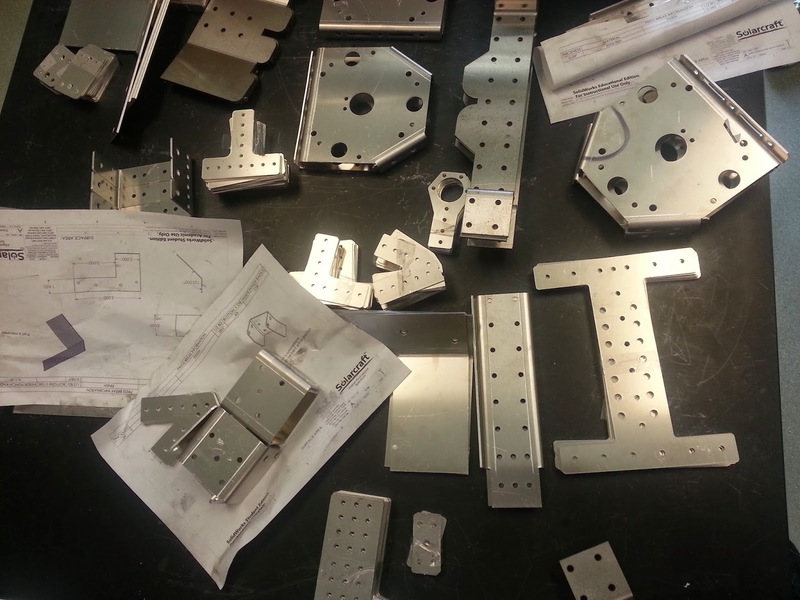 We received our sheet metal parts on Friday afternoon. Everything looked great on the parts. 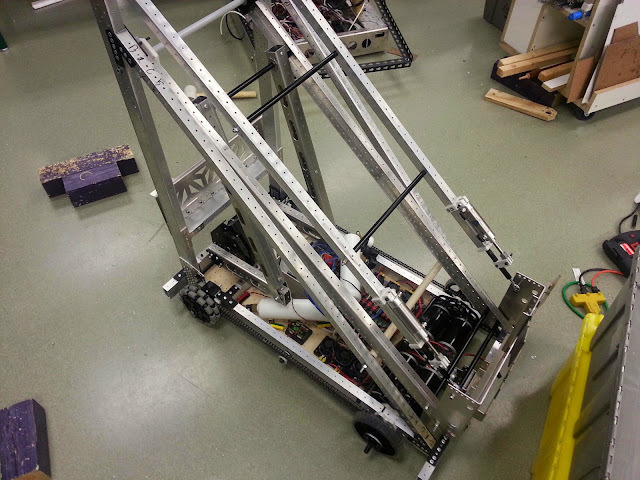 Saturday and Sunday were spent putting together the practice robot. We have the arms on and the end effector. We are still waiting on a few pneumatic cylinders before we can test most of the systems. We balanced the arm today with surgical tubing and it worked well but we may be moving to gas springs. We prepped all the competition robot parts for the powder coater tomorrow. We should have more video to share in the next couple days.